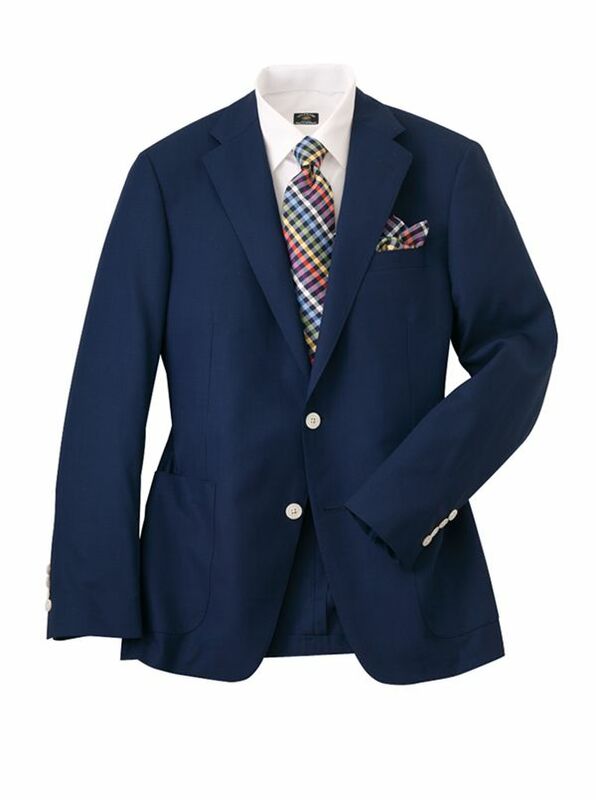 Our Poplin Blazer is all about comfort and classic distinction. The wonderful super 140's wool poplin is light as a feather, and wrinkle-resistant- ideal for travel business resort. Tailored in Canada on our soft shoulder two-button model with two open patch pockets, welt breast pocket, quarter lining, side vents.